At NRG Expert, we frequently research the top energy news stories to help with energy research and analysis. Here we reveal all the top energy news stories and summarise the latest energy news headlines. Get the top energy news from NRG Expert by following them on Twitter or LinkedIn. 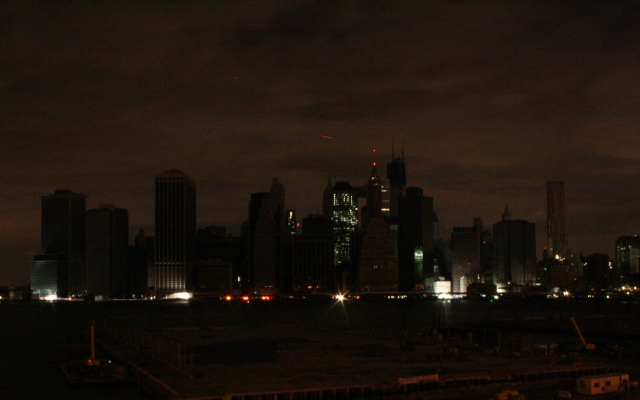 Why Has It Taken So Long To Restore Power After Hurricane Sandy? 930,000 people have been left in the dark after Hurricane Sandy hit New York with devastating effects. Questions were raised as to why it has taken so long to return power to the city. It seems the reason is not lack of man power or slow workers; it’s the damage that has been caused. Hurricane Sandy’s effects were so powerful that they knocked out several power grids, underground sub stations, backup generators and plenty of distribution lines. It seems like it will be a while until New York is returned to its former glory. This year in Wigan, Manchester, Eco Enviornments has opened the UK’s first renewable energy business park. Residents of the business park will save an average of £2 a square foot per annum on their rent and they will have no energy costs. The whole business park is estimated to save £55,858 in energy costs every year. This is good news for the world of energy especially with the recent rise of gas and electric prices in the UK. You may already know that in January this year, Spain cut back on its renewable energy subsidies, forcing renewable energy plants to look elsewhere for growth. At the same time, South Africa was taking its first steps in starting its own renewable energy market. Now it seems the Spanish government plans to introduce 17,800MW of renewable energy by 2030, the majority of which will come from South Africa. Could this mean South Africa’s renewable energy market is a great place for renewable energy investment and growth…? In the UK, plans have been set in motion to increase shale gas development. The plans, set in motion my George Osborne have been part of a strategy to ensure that Britain meets energy demands by 2030. Currently this could provide up to 30 new power stations and plenty more jobs, saving £2.5bn in the UK’s current economy. Oil and gas company BP has just undergone a business transaction that has made £5.5bn for the company. BP has sold interests in 3 assets in the Gulf of Mexico (1 operated, 2 non-operated). According to chief executive Bob Dudley these investments have been made because of the future potential and capability for long term growth. The 3 BP operated assets are located in Marlin Hub, Horn Mountain and Holstein of which BP have a stake of 100%, 100% and 50% respectively. Also get more top energy news from NRG Expert by following them on Twitter or LinkedIn. You have a very decent internet site , I love the style, it actually stands out. My brother suggested I would possibly like this blog. He was once totally right. This publish actually made my day. You can not consider just how much time I had spent for this info! Thank you! I’m extremely inspired along with your writing abilities and also with the format in your blog. Is this a paid theme or did you modify it your self? Anyway keep up the excellent high quality writing, it’s uncommon to peer a nice blog like this one today..
Really liked what you had to say in your post, Top Energy News Stories from NRG Expert, thanks for the good read!